CPanel Web hosting accounts with an easy to use script that can help beginners to quickly install the WordPress CMS in their Web servers to start getting their WordPress websites up and running in no time. These WordPress hosting packages are also useful for individuals and businesses that intend to offer SAS Web applications to people who need such Web applications for their daily home and office activities. What are these SAS Web applications? “SAS” stands for Software As Service. A Web application is software that is integrated with a set of features and functionalities that can be accessed by users through their Web browsers. This means SAS Web applications are programs that run in a Web server and can be accessed through supported Web browsers by users who subscribed for the service. 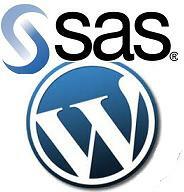 Why choose WordPress hosting when planning to develop and offer SAS Web applications? Subscription functionalities for your SAS Web applications can be integrated into the membership subscription feature of WordPress. This means interested users can sign up as a subscriber of your WordPress website to gain access to your SAS Web applications. They just need to log into your WordPress website as a subscriber to use your SAS Web applications. Also, since you will of course integrate payment options into your subscription form, this can easily be done with the WordPress subscription feature and PayPal. Your customers can sign up as a subscriber, pay for the monthly or annual or one-time subscription via PayPal or their credit cards and receive an email notifying them that their subscription account has been activated. They can then go to your subscriber login page, enter the credentials they used in your subscription form and start using your SAS Web applications. There are a lot of applications that can be used to create from scratch a custom WordPress theme that is most suitable for the nature of your SAS Web applications and the habits of your target markets. You can even modify open source WordPress themes to customize its layout and overall visual appearance, and then add functionalities required by your users and SAS Web applications. You can also use other WordPress plug-ins to extend the functionalities of your WordPress website and even your SAS Web applications. There are many paid and free WordPress plug-ins. Some of these WordPress plug-ins can even help in marketing your SAS Web applications in popular social networks and other websites, while a few WordPress plug-ins are recommended by some SEO professionals for implementing best onsite SEO practices into your WordPress website. There are also WordPress plug-ins developed as mailing list management scripts to help you organize and contact your lists of subscribers and prospects. The WordPress Content Management System (CMS) provides a quick and easy way to add new content to the posts and pages of your WordPress website. You can also easily update existing posts and pages as well as change, modify or delete content from your posts and pages (or even entire posts and pages) through the WordPress CMS. Since you can develop your desired custom SAS Web applications as WordPress plug-ins, you can also sell your SAS Web applications to other owners of WordPress websites. They can just upload your WordPress plug-ins to the Web servers assigned to their WordPress hosting accounts, activate those plug-ins through the WordPress Dashboard and configure certain settings you implemented into your WordPress plug-in SAS Web applications. Since Web servers assigned to WordPress hosting accounts are more powerful than most home and office desktop or laptop computers, Web applications that run in these Web servers are much faster compared to programs installed in your home and office computers. Also, Web servers of WordPress hosting accounts are provided with fast and reliable Internet connectivity as well as hardware resources that are always live and running all year round. These WordPress hosting accounts are bundled with regular Web server management and maintenance. This means you can be assured that your SAS Web applications are always up and running, constantly working properly when used by your subscribers. In case of problems or issues, Web server management and maintenance professionals are always ready to resolve these issues and fix those problems. In case you have things to clarify with your WordPress hosting provider, such as technical issues that were encountered by your subscribers when using your SAS Web applications, they normally offer round the clock technical and customer support services. Most WordPress hosting providers also integrate lots of options for contacting their technical and customer support departments, such as email and help ticket support, phone support and live Web chat support. These WordPress hosting providers also offer upgrade options to their customers. This means in case you have a sudden influx of subscribers as your SAS Web applications become popular, then you can request your WordPress hosting provider to immediately implement the upgrades and updates you need to improve your hardware and software resources, Internet bandwidth and connection speed as well as data storage space. These updates and upgrades are usually paid, and check if the Web hosting providers you’re interest in can actually implement upgrades and updates when you need them, and you should do this before acquiring a WordPress hosting plan. To find some web hosts that utilize these SAS applications, have a look at www.web-hosting-reviews.info.